Employees at the Moscow offices of Amnesty International arrived for work on Wednesday only to find that authorities had closed off their offices. Official seals blocked all entrances, the locks were changed, and the power was shut off. John Dalhuisen, Amnesty International’s Europe director, says the group had no advance warning. “Given the current climate for civil society work in Russia,” he said, “there are clearly any number of plausible explanations, but it’s too early to draw any conclusions.” He said that the organization was “100% sure” that they had fulfilled their obligations as a tenant. The following day, Mikhail Fedatov of the Russian Human Rights Council apparently met with President Vladimir Putin; after that, Dalhuisen informed Reuters that Vladimir Yefimov, head of the Moscow city property department, explained there may have been a mix-up. 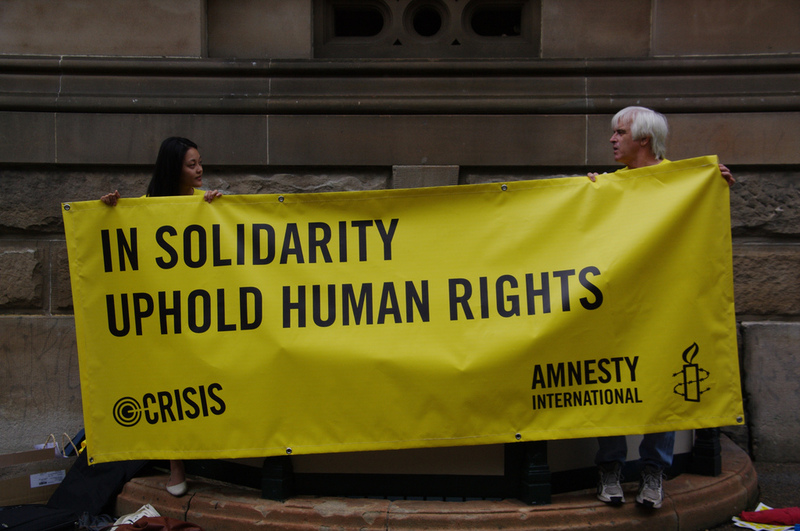 NGOs in general, let alone advocacy organizations such as Amnesty, face harassment and reprisals under Russia’s “foreign agents” law, while NGO access to foreign funding is further restricted by a law banning “undesirable” organizations. This is a story NPQ has been reporting on for years. The real story, of course, is in Amnesty’s insistence on having the truth of what is occurring in Aleppo be heard so, please, if you read this newswire, also watch the video to understand the waste that has been laid to that city and imagine for a moment that this is your neighborhood and that your family is being forced to flee into the mouth of more desperate and unknowable danger. Perhaps then, we can all see the importance of outspoken advocates like Hamdi Ulukaya.